Description: A group of Sikhs in the metro of Lisbon towards the gurdwara in Odivelas. Every Sunday, hundreds of Sikhs gather at the gurdwara for worship, socialize and seek advice if they have a problem. 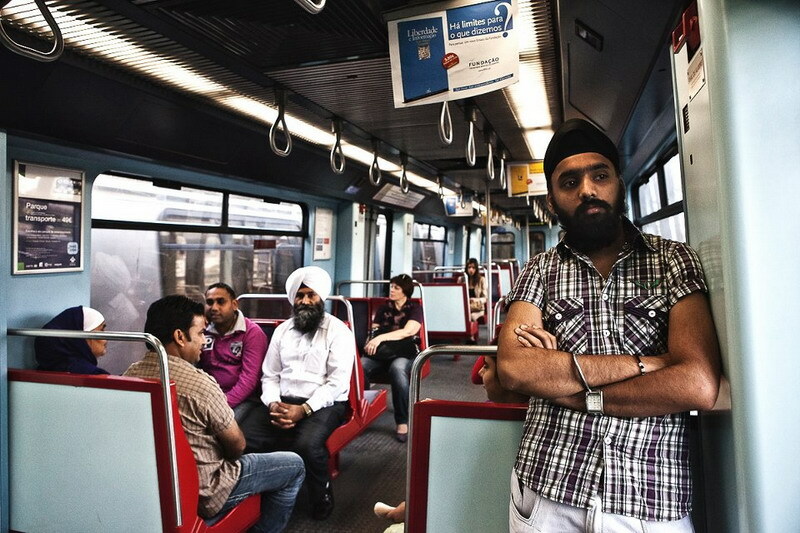 Caption: A group of Sikhs in the metro of Lisbon towards the gurdwara in Odivelas. Every Sunday, hundreds of Sikhs gather at the gurdwara for worship, socialize and seek advice if they have a problem.